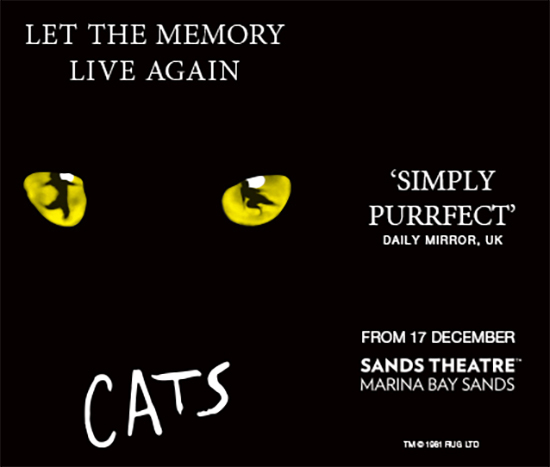 Andrew Lloyd Webber’s record-breaking musical CATS comes back to Singapore this December for a strictly limited season. Hubby and I caught the musical when they were in town back in 2015 and we definitely will not miss it again this time too. There's something magical about watching musicals several times, you capture and "learn" different things from each experience. 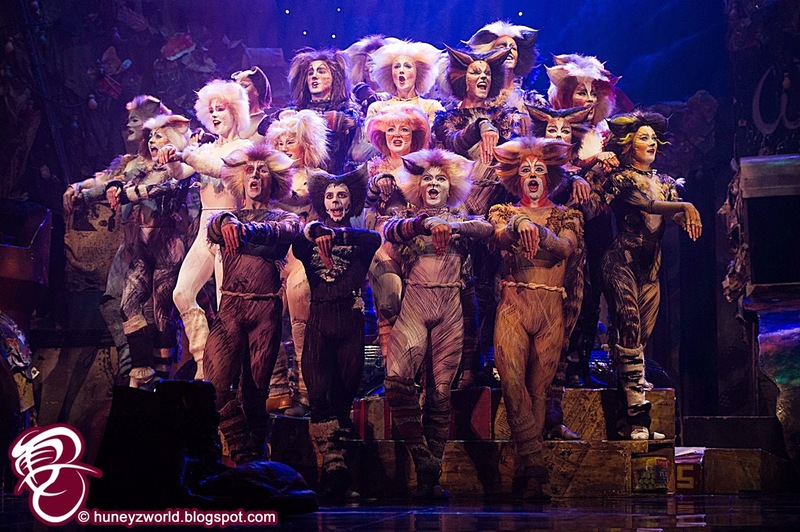 Being one of the longest-running shows in West End and Broadway history, CATS world premiered at the New London Theatre in 1981 where it played for 21 record-breaking years and almost 9,000 performances and since then, it has been presented in over 30 countries, translated into 15 languages and has been seen by more than 81 million people worldwide. 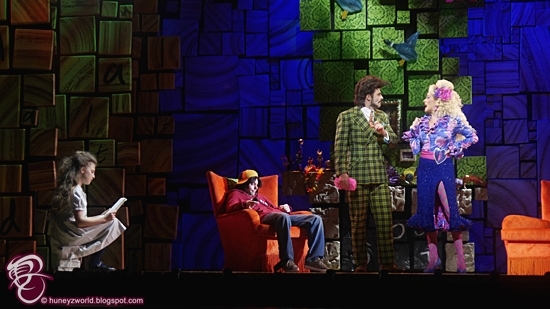 Both the original London and Broadway cast recordings won Grammy Awards for Best Cast Album. Be enticed into the magnificent musical score composed by the legendary Andrew Lloyd Webber, including the poignant hit song ‘Memory’, which has been recorded by over 150 artists from Barbra Streisand and Johnny Mathis to Liberace and Barry Manilow. 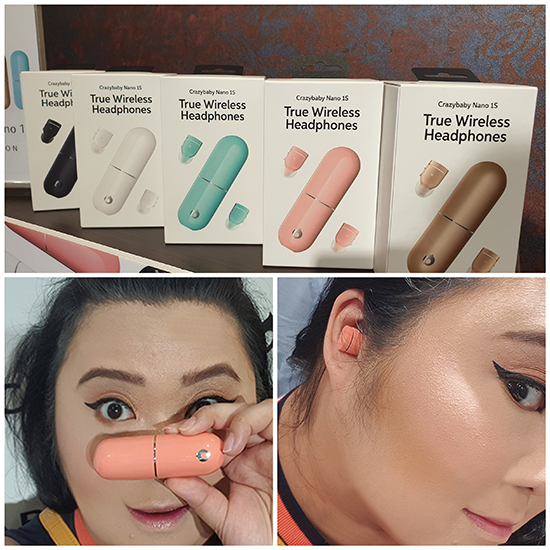 I've always wanted to get a pair of wireless earbuds so that I could share the music I'm listening to with my hubby. When we go on trips, trekking, jogging or even a session down at the gym, it's always so weird when we are both on our individual music and interacting coz we can't hear each other. 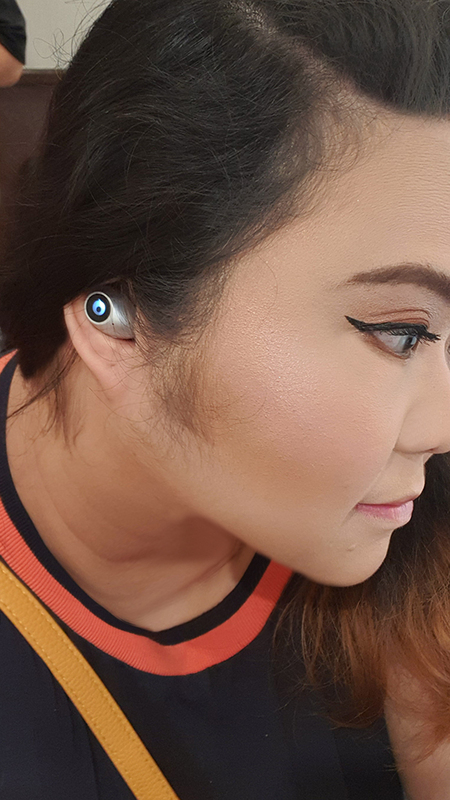 I always wondered wouldn't it be nice if we each had a side of the earbud, wire-free, listening to the same music and having the other "open" ear available as we speak to each other? 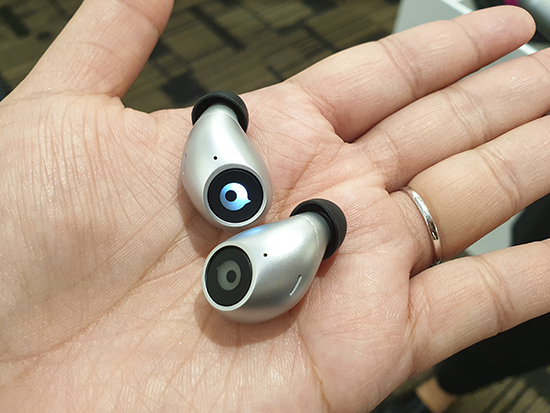 Well, I gave the Crazybaby Air 1S True Wireless Headphones a whirl and I'm loving it. After all, it has won the iF DESIGN AWARD by iF International Forum Design GmbH this year as a symbol of design excellence around the world! 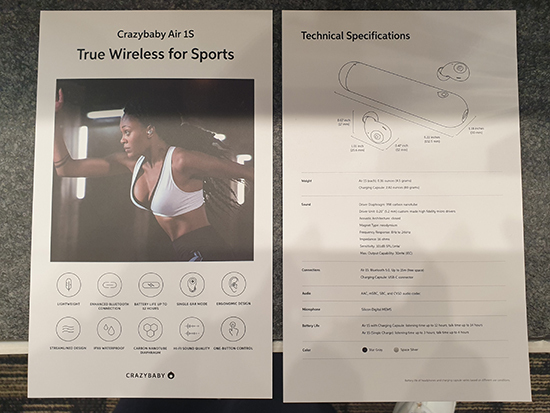 The Crazybaby Air 1S True Wireless Headphones feels almost weightless, very easy to bring around and fit into any pockets. 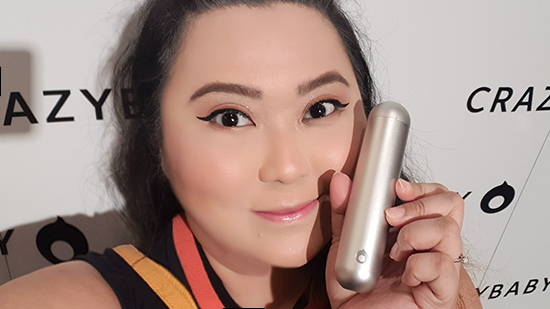 They fit snuggly into my ears, without causing any pain even after long hours of wearing, not falling off no matter how vigorously I shake my head, and being IPX6 Water & Sweat Proof, it makes a perfect pair to have when I'm working out with my hubby. 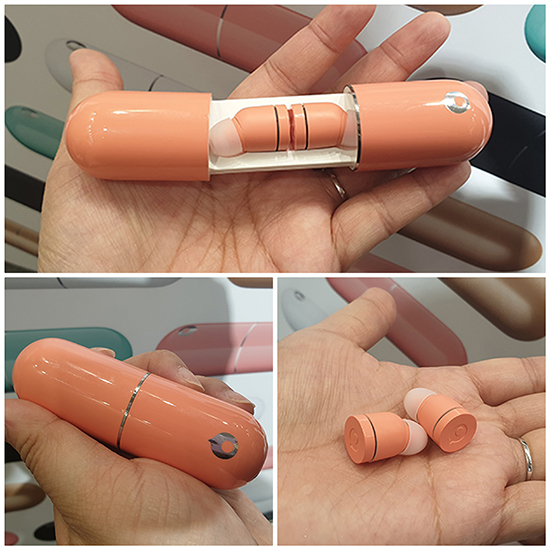 Connecting to the earphones is an easy-peasy job and can be done within seconds, together with the Enhanced Bluetooth Connection of using the same PIFA antenna like that of high-end smartphones, with a wide bandwidth and a high signal reception efficiency, I can get a stable, robust connection within a 15-meter distance. Which also means, hubby and I can work on different machines in the gym, whilst enjoying the same piece of workout music. (Yup, another reason to "convince hubby" 😏to get the Crazybaby Air 1S). 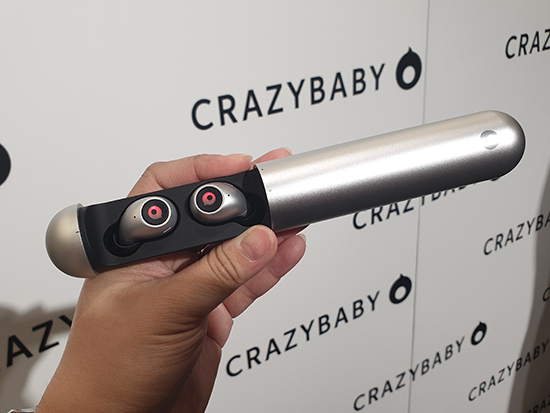 Other specialities about the Crazybaby Air 1S also includes its fast charging power, battery life up to 12 hours, wind-resistant and noise-isolation streamline design paired with the built-in algorithm of Crazybaby Air 1S simulates 3D virtual surround sound, not only cuts out the noisy surroundings allowing a more immersive music experience but also creates layered listening experience from symphony to rain sounds. 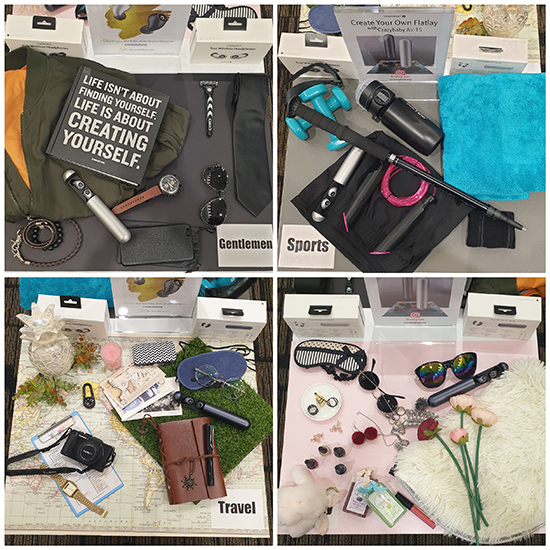 All in all, I think the Crazybaby Air 1S makes a great companion to have, no matter if you are a fitness buff, a travel bug or simply just a music admirer. It is available at Audio House, Best Denki, Challenger, Courts, Mustafa, Polaris, Popular, Singtel, SprintCass, Takashimaya, Tangs and Treoo.com, at $279. 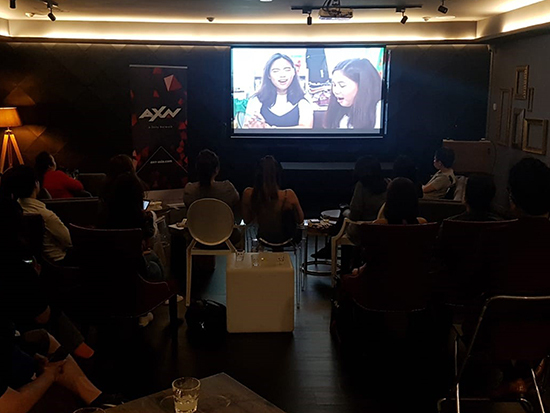 It was a great start to the weekend when hubby and I went to a special and intimate AXN session at the Screening Room. 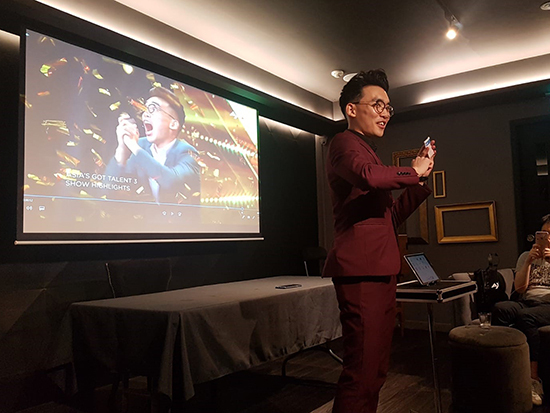 We managed to watch the performances on Thursday's episode of Semi Finals ahead of Asia and the highlight was to catch TK Jiang performing live right before our eyes! 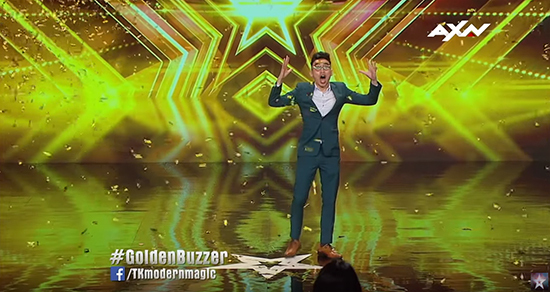 Last week, when he gave his first Golden Buzzer to our very own home grown - TK Jiang, digital magician. 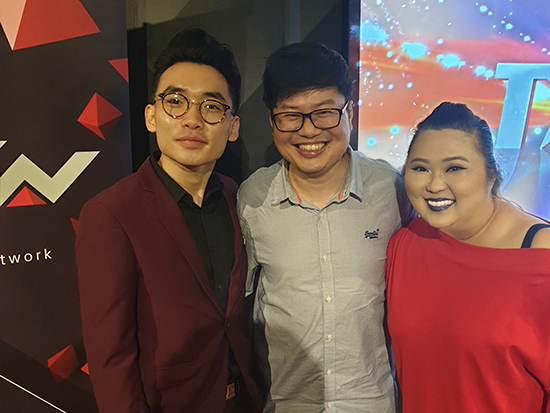 We were jumping in our seats and cheering on for this Singaporean entertainer, hoping to see more of his tricks and never did we imagine actually meeting TK himself the week after! He was very charming and friendly, when he approached both me and hubby, impressively calling out our names (someone has done his homework eh? ), as he introduced himself and have a short little chat with us. 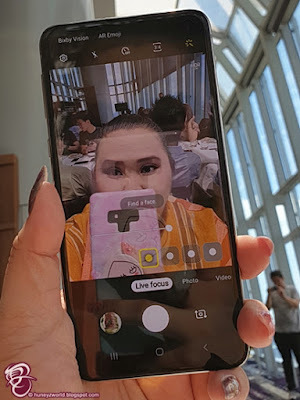 Through the many seasons of AGT, we have seen so many magic performances, but digital magic is something new that relates with our new technology age. TK Jiang had been a fan of magic since young and it was kinda blessing in disgust when his house was caught on fire. Losing everything made him reinvent and do magic with just his smartphone and laptop, thus digital magic. It's a very fresh take on magic, especially having TK Jiang performing just steps away from us. We couldn't spot any flaws or as he taught "flashed" us anything that could give his performance away. But what he did onstage on Thursday's episode with his adorable girlfriend truly blew us away (see video above). He truly lived up to the Golden Buzzer bestowed to him and I can't wait to see what else is up his sleeves as he gets his shot at the USD100,000 grand prize and the winning title! New episodes of Asia's Got Talent airs every Thursday at 8.30pm (7.30pm JKT/BKK) on AXN. There will be an encore telecast of episode 1 this Sunday at 9.05pm (8.05pm JKT/BKK) on AXN. 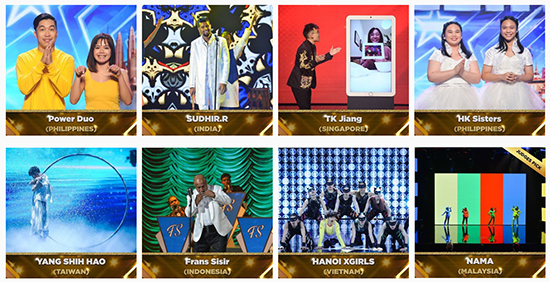 To follow the journey of this season's acts, check out #AXNAsia and #AsiasGotTalent. 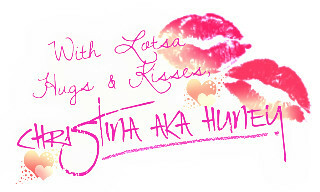 So keep your votes going in and I can't wait to see who the winner is/are!!! For more information, go to www.AXN-Asia.com/AsiasGotTalent. When it comes to date night, Hubby and I love to spend an evening of entertainment. Be it musicals, watching movies or going to talk shows, it's always nice to chill, relax and laugh to our heart's content in each other's arms. For those who watch comedies, the name Tom Green is no stranger to you; having roles in mainstream Hollywood movies, such as ‘Freddy Got Fingered’, ‘Road Trip’, ‘Charlie’s Angels’, and ‘Stealing Harvard’. He has graced the cover of Rolling Stone, hosted ‘Saturday Night Live’, guest-hosted ‘Late Show with David Letterman’ and appeared on Oprah, Jay Leno, Conan O’Brien, Jimmy Kimmel, Jimmy Fallon, ‘The Daily Show’ and Comedy Central; he has made quite a rattle in the comedy scene. Green found mainstream prominence via his influential and outrageous MTV television series ‘The Tom Green Show’. Before reality TV, YouTube or social media existed, Green’s comedy changed television conventions forever by blurring the lines between pranks and performance art. Well, coming 12th of April 2019, 8pm at The Whiskey Library @ Vagabond Club, the acclaimed comedian, actor, filmmaker and talk show host will be making his inaugural Asia Comedy Tour as part of the Magners International Comedy Festival in Singapore. 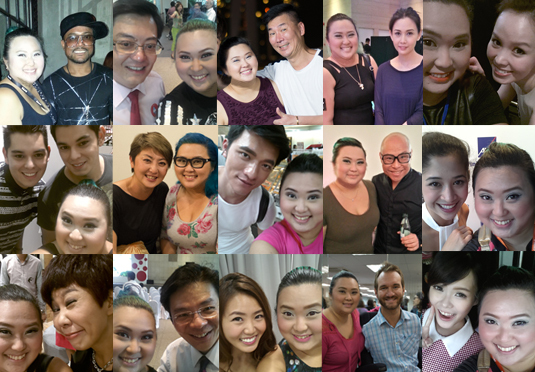 Singapore will be Tom Green's debut stop be followed by Manila, Tokyo, Ho Chi Minh City, Shanghai, Bangkok with his last stop in Hong Kong. 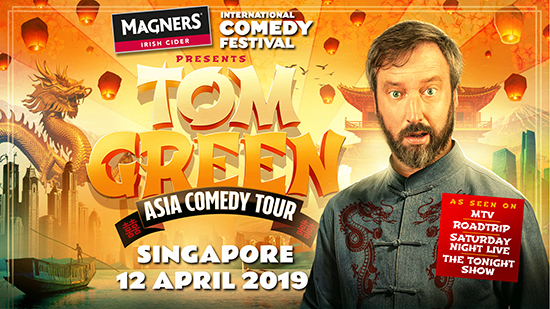 Organised by Singapore-based festival creators Magic Rock Pte Ltd, the Tom Green Asia Comedy Tour marks Green’s enthusiastic return to his stand-up comedy roots. Receiving 5-star reviews worldwide, his current tour material is the strongest of his career with more personal elements and underlying tenderness to the prank, man-on-the-street, visually surreal comedy he is famous for. 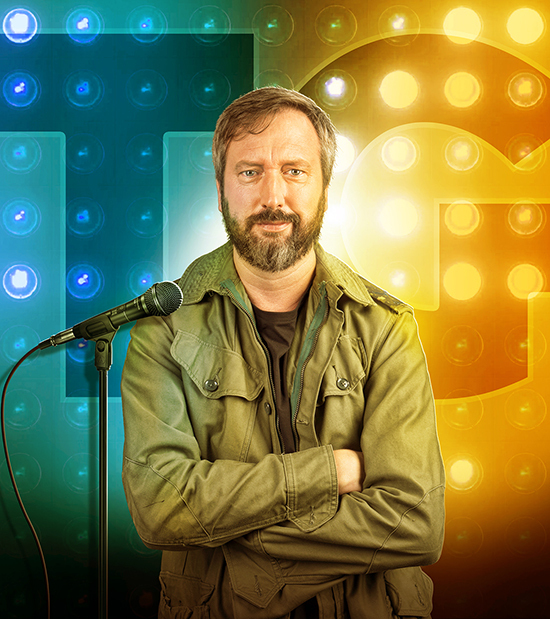 Tickets to the Tom Green Asia Comedy Tour is now available for sale on TicketFlap: https://eventregist.com/e/tomgreen_sg and do note that the show is a 18+ event! Tickets: $80 standard or $110 for VIP tickets which include Meet and Greet with Tom Green and two-hour free flow on selected beverages after the show. 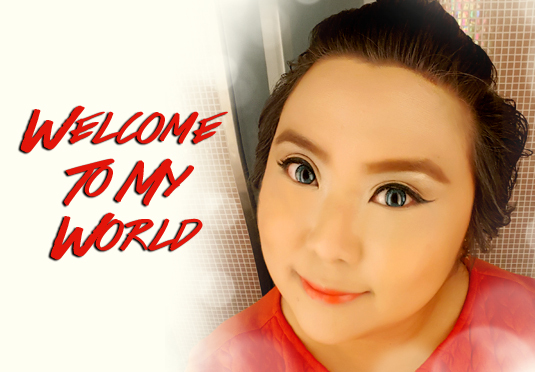 If you are travelling to my country Singapore or doing a flyby, there is a new hotel in town! 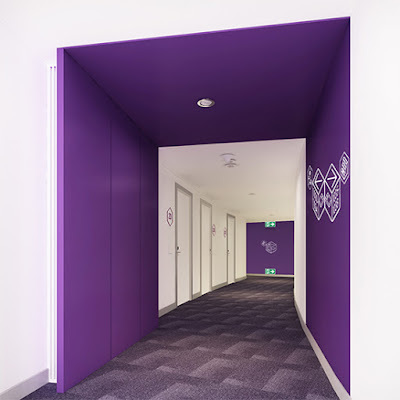 With the newly built Jewel Changi Airport, comes YOTEL's first ever YOTELAIR property in Asia, where travellers can relax, reconnect and get refreshed before, during or after their trip. Opening its doors on 12 April 2019 comes 130 smartly-designed cabins that offer stays bookable by the hour for a minimum of four hours, perfect for shorter daytime layovers to overnight stays. 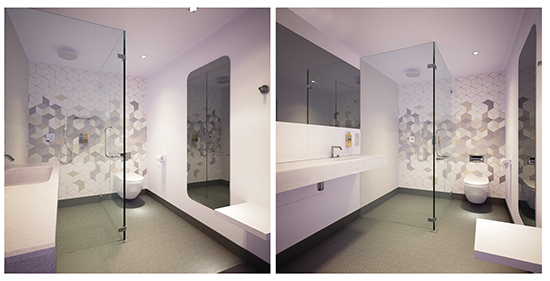 YOTELAIR Singapore Changi Airport is easily accessible from all four Changi Airport terminals, offering shower cabins for guests to have a quick fresh-up to Premium, Accessible and Family cabins for a power recharge. A quality night’s sleep sits at the core of YOTELAIR, known to give back essential time to busy travellers so they feel well-rested before, during or after their journey. Guests on a longer layover can wake up in the heart of Jewel, just minutes away from connecting terminals and gates. The brand features time-saving features such as the airline-style self-check-in kiosks, reducing long queues and eliminating the hassle often associated with checking-in. Other facilities at YOTELAIR includes the 24/7 gym and co-working space that allows guests to make the most of their stay, regardless of the time. The hotel also boasts multifunctional spaces designed for co-working, exercise and relaxing, such as their signature Club Lounge, KOMYUNITI, which overlooks the world’s tallest indoor waterfall. Coupled with countless options for entertainment, retail and dining nearby, YOTELAIR Singapore Changi Airport would make an ideal base for those spending more than a few hours in transit. 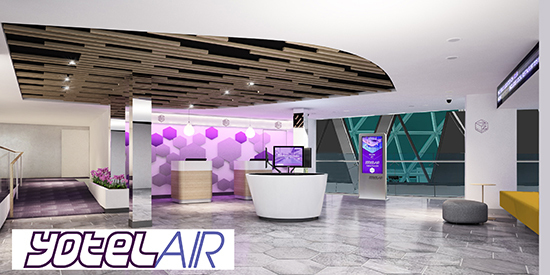 To celebrate the upcoming launch, YOTELAIR is offering an opening promotion for overnight stays in a Premium Queen cabin and day let stays with rates starting from S$140 per night and S$80 respectively. For day let stays, a minimum of 4 hours is required to book, with a price increase of S$25 every 2 hours. I remember burying my head into Roald Dahl's storybooks during my childhood days, having fun in my own world where chocolate rivers were real, giants dwell amongst us and witches could turn people into mice. 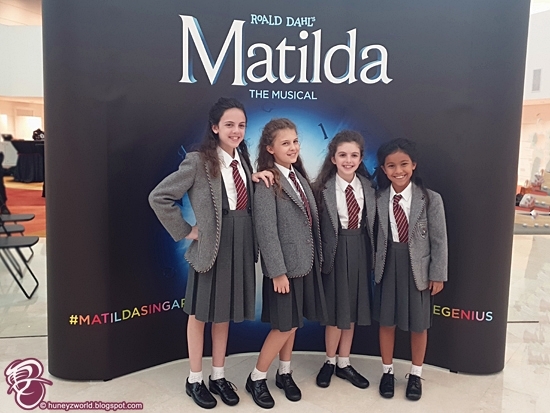 I went to catch the Matilda musical on it's opening night, imagine my excitement when I was backstage prior to catching the full musical that night! It was as though stepping right into the storybook and I couldn't help taking photos as though I was Matilda myself! There's gona be some magical things happening on stage and being in the backstage taught me how all these works and the amount of manpower and thoughts were put into this production, making me appreciate the musical number even more! Ok, back to the musical. It was an amazing number that made me clapping, laughing and crying at the scenes. It really was as though there was magic around us, with the kids performing much better than adults, upstaging them, brought my emotions surging through the roof. The story is so relatable in this modern time, where bullying and despise is uncalled for. 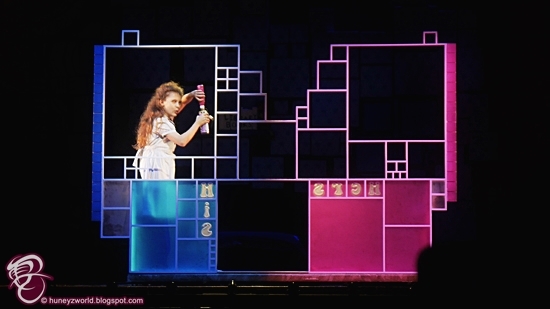 Though marketed as a children’s book, Matilda, like Dahl’s other stories, has layers of the dark and unsettling that we might only begin to grasp when we look back on them as an adult. 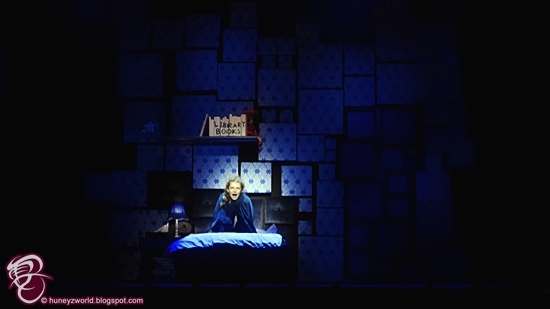 I like the idea of adding a little story within the original story (which was not in the original Dahl's book), bringing us deeper into the imaginative mind of Matilda's, her suppressed emotions and loneliness, that also ties her relationship with Miss Honey more. 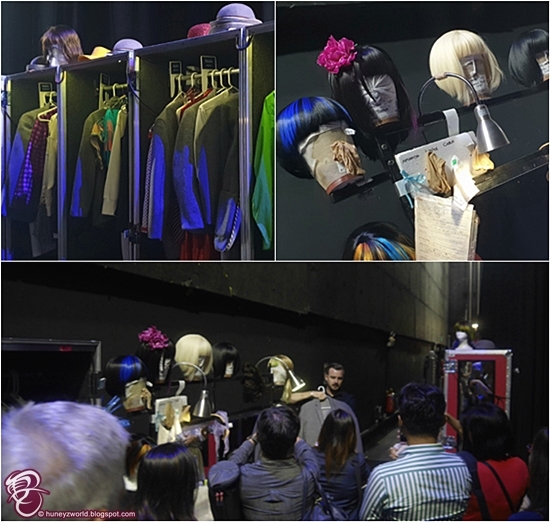 The storytelling was smooth in between scenes, there was not a boring moment and making full use of the stage, allows for something to be happening at all angles and audiences from all directions can see the acting and action on the stage. 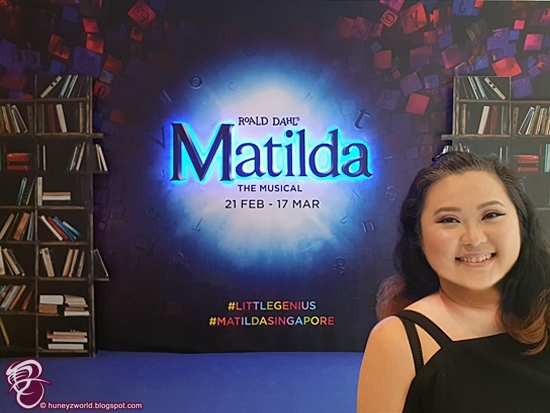 For the opening night, Sofia Poston, the young Singapore actress made an impressive performance as Matilda. She could take on the stage all by herself and her adorable little self made such a big impression on us with her voice and acting. Especially when up against the adult actors and actresses, she was nothing lackluster of. 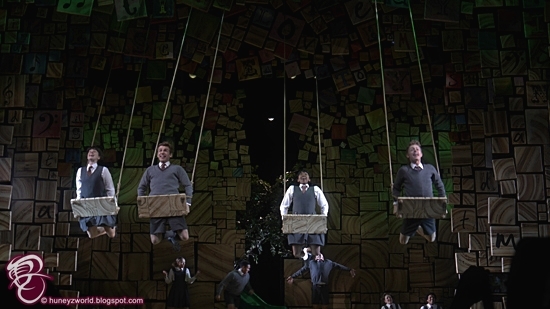 My favourite moment has got to be David & Goliath scene where the dramatic height of the villain - headmistress Miss Trunchbull, who insists that “all children are maggots.”, is pit against the small little frame of Matilda. 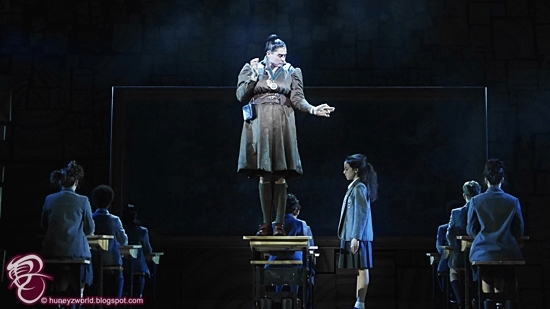 The clever thought of having a male actor - Ryan de Villiers, playing as Miss Trunchbull enhanced that dramatic silhouette and aid so much more in the storytelling. 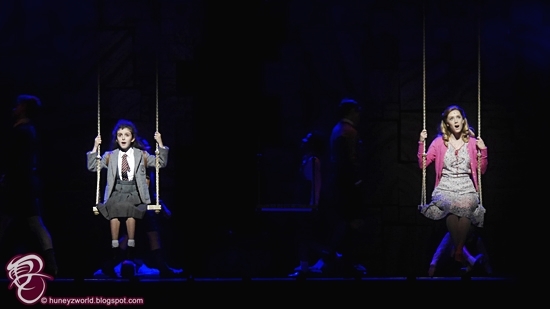 All in all, I'm infatuated with Matilda the Musical. 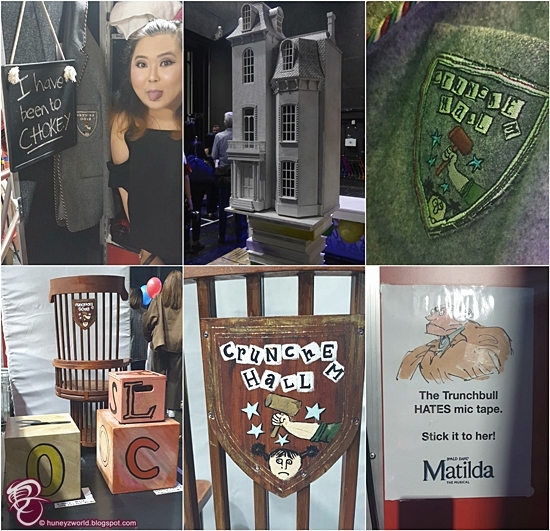 It's something not seen before where kids dominate the stage, scenes were well thought out for everyone to immerse into the whimsical world of Roald Dahl and everyone left the theatre in cheers for all the actors. The clever mix of fun and fright ultimately produces an empowering tale for all ages. 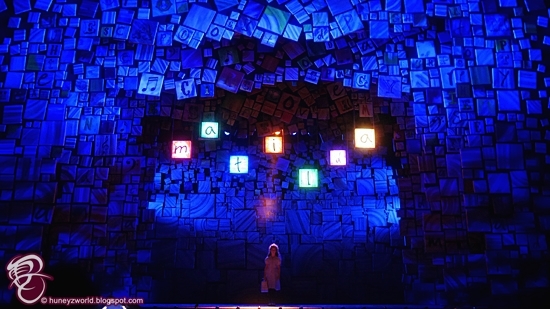 Matilda the Musical is now playing at the Marina Bay Sands Theatre and is set to end on 17 March 2019. 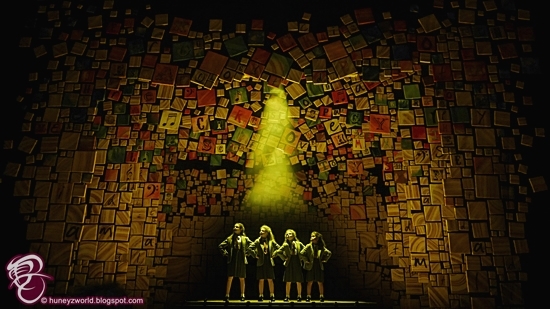 For more information, please visit:www.matildathemusical.com. 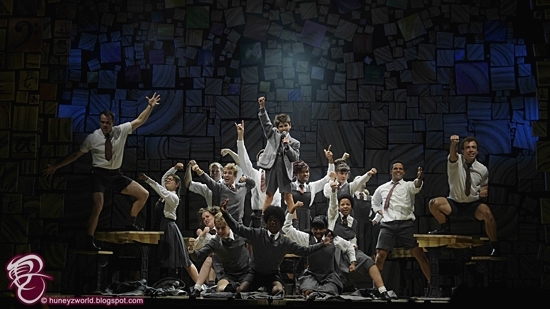 Book your tickets for Matilda The Musical today! 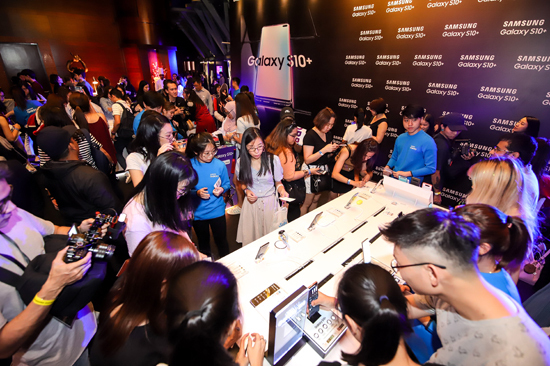 To celebrate 10 years of Galaxy and the launch of its latest product innovation, the Galaxy S10 and S10+ in Singapore, Samsung held theUnleash Next Gen Bold event at Resorts World Theatre yesterday evening. 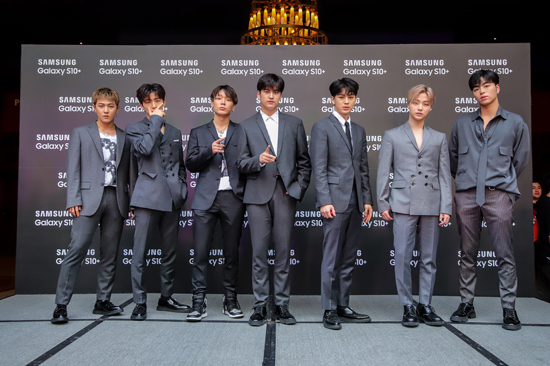 The exclusive event saw the unveiling of the latest member of the Galaxy S series together with a performance by K-pop sensation iKON. 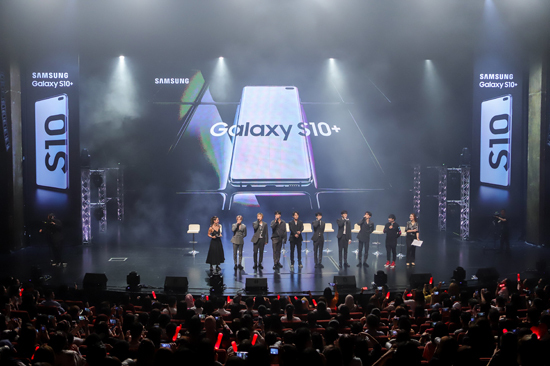 At the Unleash Next Gen Bold event, over 1,500 Samsung and iKON fans had a chance to experience the revolutionary features of the Galaxy S10 and S10+ at various product zones. 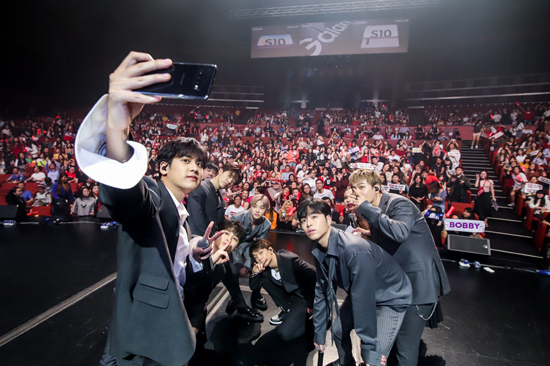 They got to watch a live performance by iKON, where fans also had the opportunity to take group selfies together with iKON using the Galaxy S10’s Ultra Wide Lens. 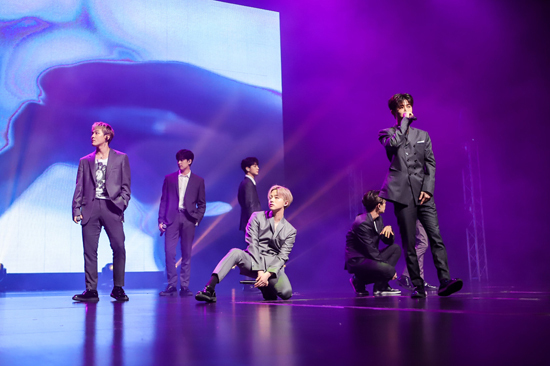 iKON fans got to see a side of their idols they have never seen before, while a number of lucky fans took home special momentos and iKON merchandise. 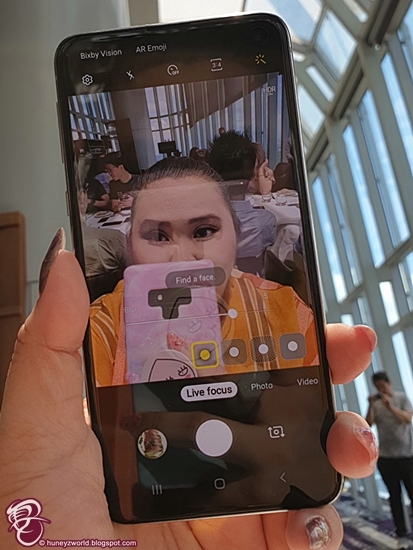 As part of the Samsung Galaxy series’ 10th anniversary celebrations, Samsung will also be holding the Singapore leg of Galaxy Studio for consumers from 22 February 2019. Galaxy Studio will comprise of themed experiential zones and comprehensive product showcase areas, where consumers can enjoy and experience for themselves the all-round multimedia features of the latest Samsung Galaxy devices, through a slew of delightful and immersive activities.